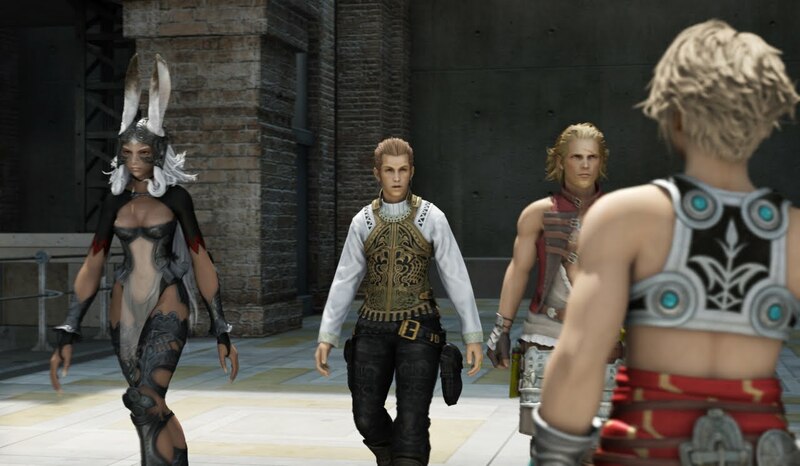 If you want definitive proof on how badly Square Enix screwed up Final Fantasy XIII look no further then Final Fantasy XII for the answer. 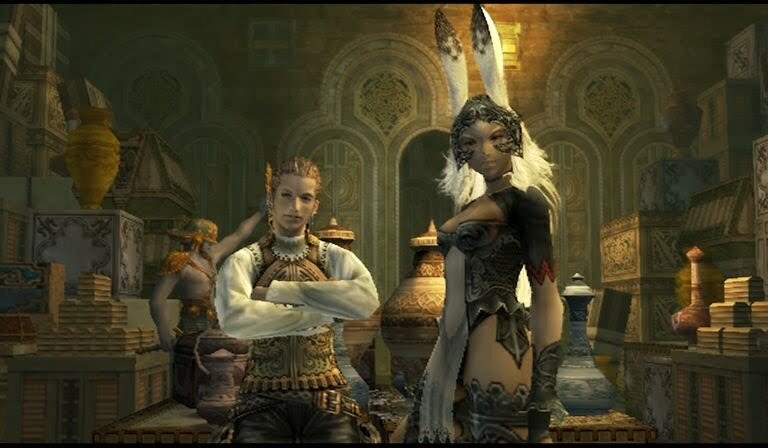 Final Fantasy XII was not perfect by any stretch of the imagination but it is far, far superior to FF XIII in nearly many ways and demonstrates the huge step backwards Square Enix made in the series. Let’s break it down shall we? 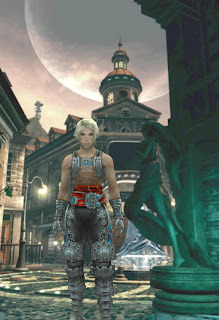 Character design - FF XII– While Vaan isn’t the most appealing character he has a boyish charm that comes through. He wants to be a sky pirate and once he sees the life and the horrors of the world he realizes it isn’t glamour and thrills only. Vaan works in this game because he suits the world and the mythos. But in Final Fantasy many times the best characters are the other party members in this case it is especially true. 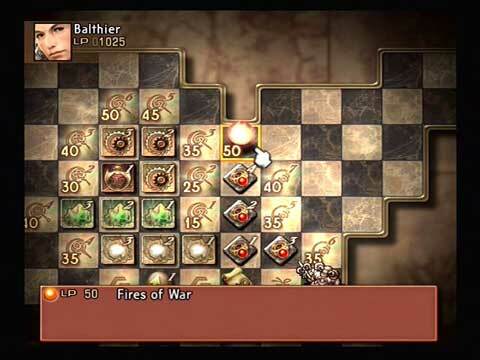 Balthier, Fran and Basch are some of the best games in the Final Fantasy series, especially Balthier. This is Errol Flynn in digital form, he is arrogant, capable, charismatic and 100% rogue with a heart of gold…maybe. All the characters have well defined motivations, exceptional looks/designs and voice acting that is a treat to hear. Character design - FF XIII – Well Lightning certainly looks amazing and I really do like her design but aside from Fang she is the only design I truly liked. Vanille is horrible and Sazh/Snow/Hope all vie for the next worst character designs. The voice acting is very much hit and miss, Lightning and Fang again are great, Vanille is horrendous and warrants a mute button. None of the characters are likeable; none of them have goals I really cared about. I disliked so many things about their backstory, especially the annoying Sarah whom both Snow and Lightning are fighting for. The graphics are detailed and pretty but if only 20% of the designs are great what is the point? Mechanics – FF XII – The License and Gambit system took heat when the game launched, people asked why they would want a game playing itself. But once you dug in you realize that the gambits are a tool to supplement your gameplay. At any time you could choose what the character did (and you could issue commands to any character, anytime) plus you get set a list of definable parameters for the characters do in various situations. Things like curing when people are below a threshold, curing blindness when necessary, automatically setting regen on each character or casting magic on flying creatures. This Gambits were versatile, useful and best of all made combat fast and fun without the need to micromanage each character. The License board was even better. Want to make the fighter a mage? You could by unlocking better spells on their board. The mage wear heavy armor? You could by unlocking that path. The License board gave you the ability to truly customize your characters in a fun meta-game that you wanted to explore. 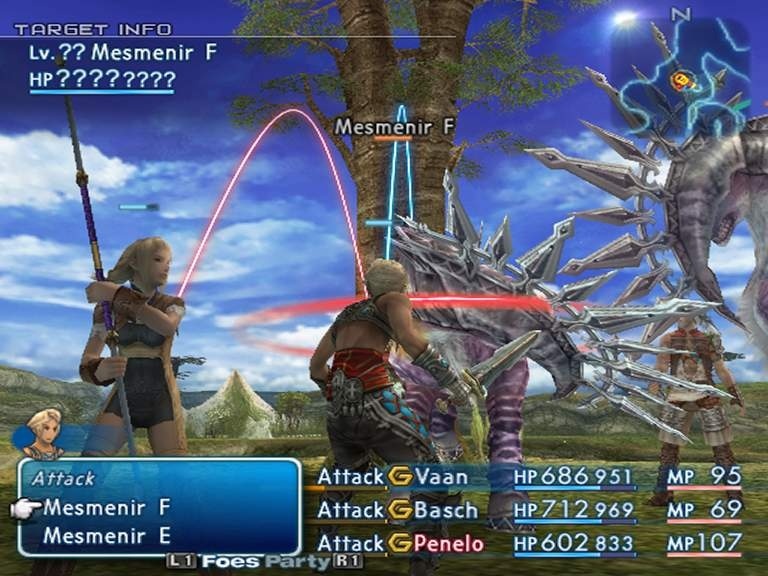 FF XII also features Mists which are special attacks like summons and Mist Charges. The summons are what you expect but the Mist charges are chargeable attacks that you can chain from character to character and are a real game changer. Both of these abilities use yoru magic (which recharges as you move around) so there is a real decision, do you cast spells? Summon a creature or go all out with a level 3 Mist Charge? 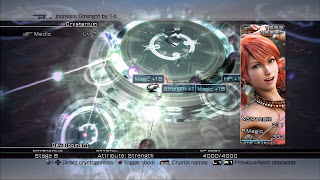 Mechanics – FF XIII – What a mess this game is mechanically. 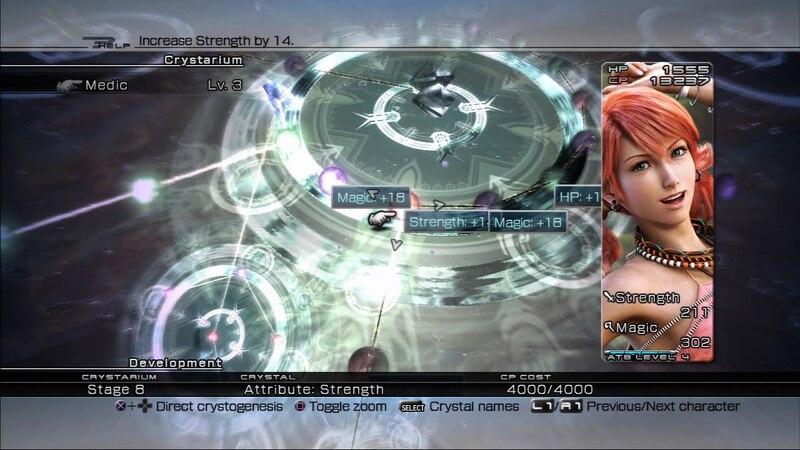 In an attempt to simplify the gameplay from the elegant FF XII system FF XIII has the Crystarium. A completely linear progression system built on individual jobs. Each character has a locked Crystarium for half the game restricting them to three jobs that you load up with no option at variance like in FF XII. These jobs are then assigned to your characters in the paradigm system. All you can do is assign the roles of each party member and during combat you only control the leader. 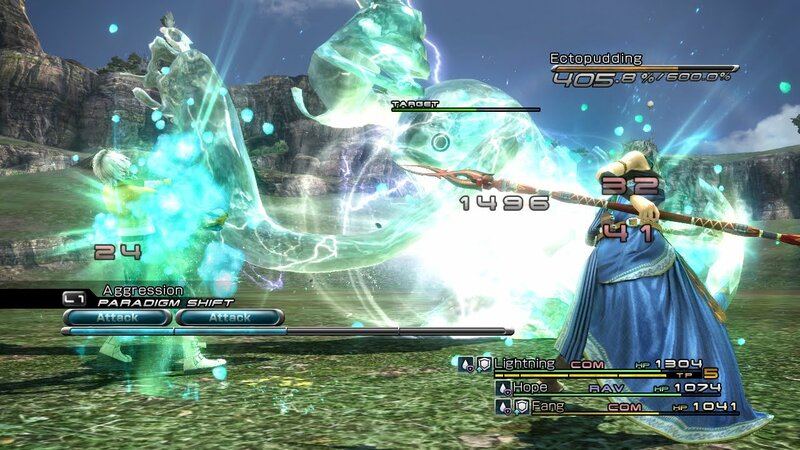 The other party members perform actions based on their job and are AI controlled. You cannot set conditions like you could in FF XII so at times you will fail because your party members are not making the right choices. You can switch paradigms on the fly so building a good list is essential so you have healing, attack and magic coverage as necessary. The system is engaging once the 30 hour tutorial is done (more on that later) but feels woefully static and limited after the very customizable FF XII Gambit/License system. The lack of divergence possible in each role and the late unlocking of all roles for all characters means you will not diversify nearly as much as you did in FF XII. FF XIII has summons which are actually quite well developed. You have control over the summoned entity and can choose the attacks till there AP runs out. At the end you can choose to do a team up attack that deals massive damage. The summons are nice but shallow like the rest of the game. There is no variance or real skill for them and no strategy either, again a step back from the previous game. 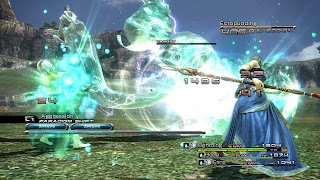 Gameplay – FF XII – With the Gambit system setting an AI for your party that you specify and control playing FF XII is fun and battles are dynamic and interesting. At any time gambits can be tweaked and as you level and kill monsters you get more license points to open up the board giving you more diverse actions to use. The ability to control any character any time as well as swap in other party members if you or your party dies makes the game flow incredibly well. Exploration is quick as is air travel thanks to quick travel options like the crystals and airships. The world is fairly open from the start allowing you to explore cities travel overland and explore areas you have been with ease anytime. FF XII is a lesson in gameplay that everyone (especially Square Enix surprisingly) should look at and admire. 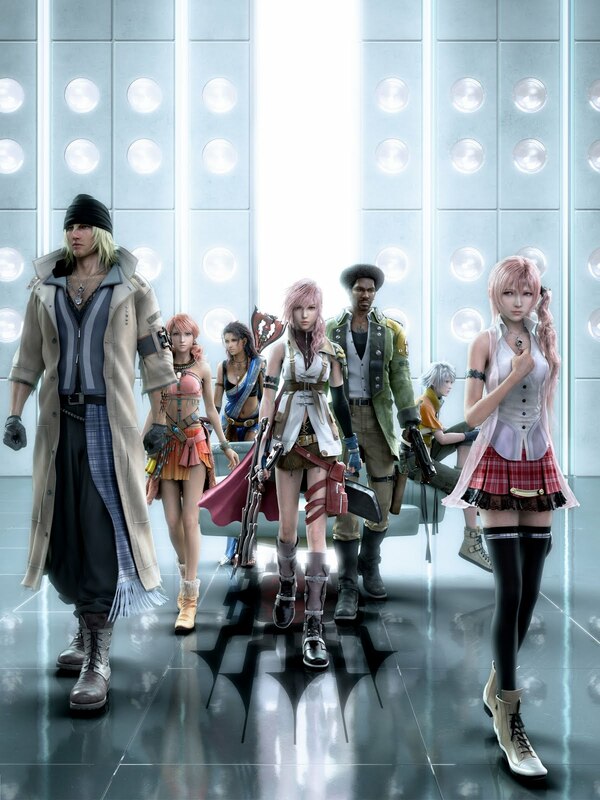 Gameplay – FF XIII – The Paradigm system is interesting…after about 20 hours. For the first large part of the game they slowly mete out components like extra jobs, customizing the party, making a paradigm list and so forth. This means you are locked into the original roles with no variance for a great deal of time. Often they force characters on you and with no customization you might as well be playing an action game, with no direct control over your actions. Combat is fast but with the shallower system it feels flat and limiting. The system also only allows you direct control over one character, if that character dies it is game over (RIDICULOUS), thankfully the checkpoint system has you start right before the last battle, but still ridiculous. Exploration is tedious and very limited. There are no cities and most of the game has you going from linear corridor to linear courtyard to linear path to linear cavern. The progression overland is frustrating and tedious and a far cry from the interesting travel mechanics and world dynamics in FF XII. 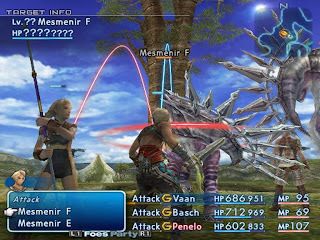 Progression/Story – FF XII – I have discussed a number the things that make up progression in FF XII but as you play through the game you get to know and love the characters and the story. The overarching plot revolves around kingdoms at war with mysterious and powerful judges controlling everyone against each other. The story isn’t the best in the series but is quite engaging thanks to the cast of characters involved. The world of Ivalice is a huge part of it's charm as well. The towns are teeming with people and by talking to them you get a feel of the world in a way FF XIII did not even bother showing at all. Moving through the game world enhancing your characters, increasing their license list and customizing the gambits is fun and involved. 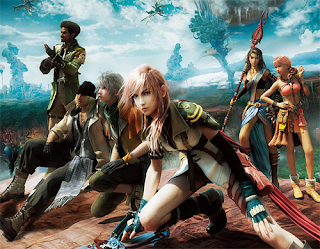 Progression/Story – FF XIII – The story is about, err, giant god like creatures that, err, control the people and transform them to focus driven superhumans, if they fail the focus they turn to crystal or something. The story is not good; the world is confusing and frustratingly linear. As the Crystarium are so static you do not even get the joy of building your characters into what you want them to be. The game is beautiful and I am curious about the horrible story which is the only reason why I am still playing through it. This is a huge step back from the vibrant and interesting world of Ivalice. Without towns the only dialog is in cutscenes and you have no feel of the culture and life pulse which simply makes you not care. Graphics/Sound – FF XII & FF XIII – Both games look and sound amazing, this is an area Square Enix has never faltered in. Taking aside some horrible designs and voice actors the environments, characters and summons are breathtaking in both cases. FF XII has aged well in the last 4 years and new generation of hardware, it was a final generation PS2 game so that is to be expected. FF XIII is truly stunning and even naysayers can admire the graphics and sound in this game. So what does this mean and why do I care? Well point by point we see that Square Enix de-evolved the excellence that was FF XII to the point that it was far from the AAA experience the series deserves. In an attempt to modernize the series they broke it from every angle. The gameplay is too linear, the combat is flat and uninspired, the progression system is boring and limited. They need to look at their past successes and then western RPG’s like Mass Effect and Fallout 3 and learn from them. 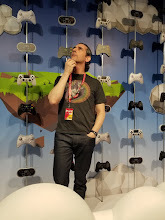 Take the story, character and design ethos from their past and current competitors games and fix the series before it is too late.